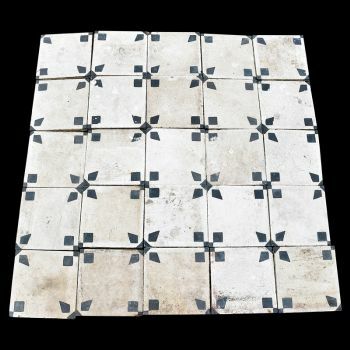 These square white tiles feature exquisite blue details. 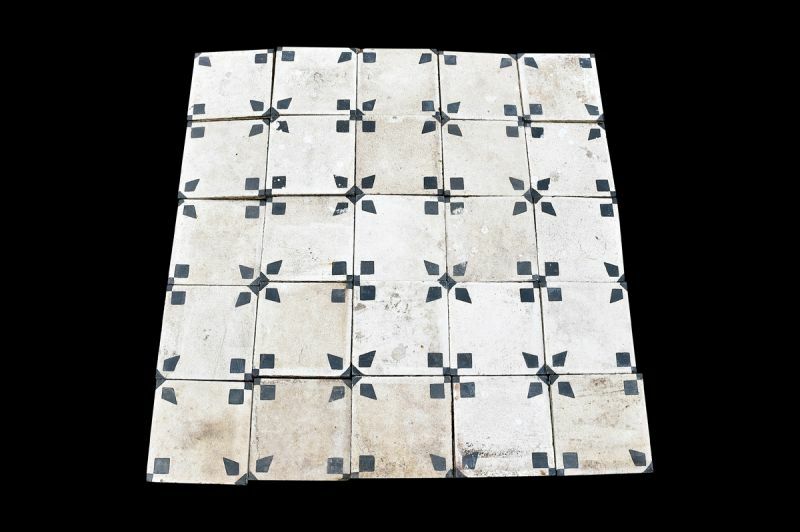 Kites or squares sit in the corners of each tile. A simple yet elegant design.